With today’s financial firms faced with intensive regulatory scrutiny, new compliance demands and the need to make better, more transparent decisions – it’s all about data. 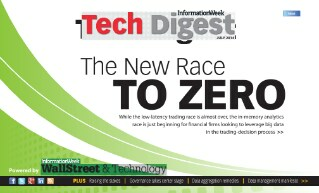 The following articles, which originally appeared in the July 2014 Wall Street & Technology’s Tech Digest, show how banks, capital markets and other financial institutions can derive the most value from the complex, fast-paced data pouring into their organizations. You’ll learn about the importance of establishing a sound data governance structure, why regulations should be treated like best practices and how successful enterprise data aggregation depends on corporate culture as much as it does next-generation technologies.